I spent a lot of yesterday on social media, principally looking for early news about Brentford v Cardiff City on Saturday. To be quite honest, if you aren’t into horses (I’m not) it was like a wasteland out there. There was nothing but tips and Cheltenham. Lucky punters showing off about their winnings and unlucky ones moaning about how much a loser had ‘cost’ them (and I know I’m a pedant but you’ve lost nothing except your stake – money you never had can’t be lost). As for Ruby…. It (or as it later turned out, he) was everywhere. 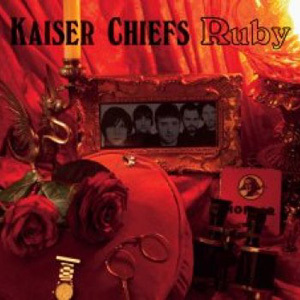 At times it felt as though, impossibly, the Kaiser Chiefs were trending. You couldn’t move for: Ruby, Ruby, Ruby, Ruby. Good luck to horse fans. It’s not my thing and, at a time when I really needed social media to keep me sane, the only nag related piece of entertainment came from John Inverdale. The normally open shirted, chest-wigged commentator had a bit “of a ‘mare” live on the radio. Or what he called ‘ a slip of the tongue’. And then it happened. I’ve still not got over the news about Cameron Diaz and the revelations about her support (or lack of) for Brentford. However, it would seem we have a new name in the frame to make up the ‘fab four’ of famous fans alongside Dean Gaffney, Rhino from The Quo and Natalie Sawyer. Could Diaz be replaced on the celebrity Bees montage? Comedian Michael Legge (@michaelLegge on twitter) isn’t, it would be fair to say, a football fan. However, he has undertaken the mission to ‘get into it” as part of a Comic Relief fund raising effort. Not only has he now chosen the Bees as his team to follow but, on Saturday against Cardiff City, he’s going to be a mascot. Not donning the Buzzette costume but walking out alongside the players and, one would imagine, captain Jonathan Douglas. Presumably appearing in full kit (there’s no finer sight than a ‘grown up’ non-player sporting complete football apparel on match day), this will be his first ‘league’ game. You can read about Michael falling in love with the game of football whilst I’d also recommend a listen to his work on the Dave Gorman podcast (episode 127 – Knights in Shining Armour from 17/07/12 , feat. Hunter from Gladiators, being a particular favourite) . Whatever your thoughts about adult mascots, this is all for a great cause and there is a just giving page available. I’m sure we’ll hear more about Michael’s visit in the build up to the Cardiff City game. 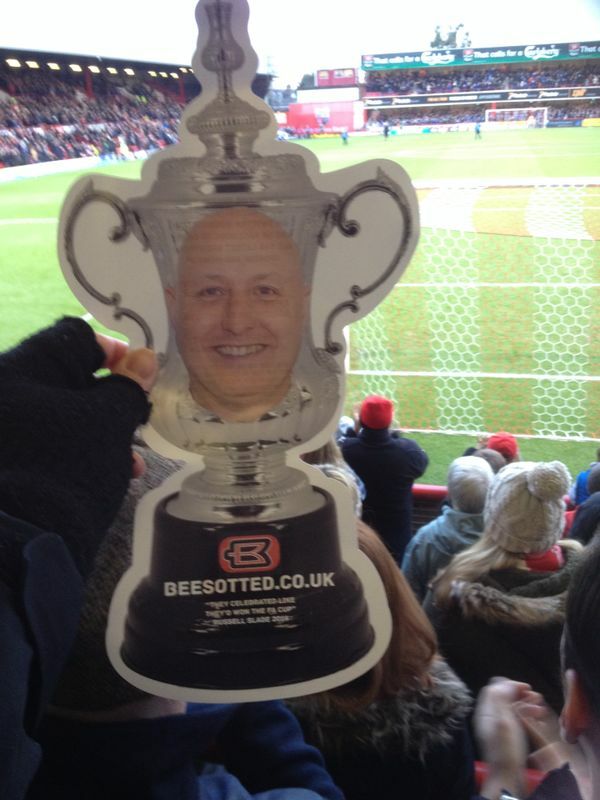 And there was me thinking the only comic relief on Saturday was going to be Russell Slade. Matthew Benham and Roy help lift the mood as Gibraltar are bracketed. Very much a day of mixed emotions yesterday as former Brentford goalkeeper Wojciech Szczęsny (now plying his trade with Arsenal) kept Gibraltar at bay in their EURO 2016 opener against Poland. And by kept at bay, I mean barely had a look in as the boys from the Rock were on the wrong end of a 7(seven) – 0 bracketing. Despite an even first half, it ended up being the sort of rout that nobody likes to see. It took Brentford owner Matthew Benham, who had earlier given a positive reaction to the ‘hot seat’ idea for Lionel Road, to fully lift my post match gloom with another view of one of his favourite football headlines. No sooner had Brentford fan (or not, as it transpired)Cameron Diaz broken my heart this week than an idea has formed which could help bring her back into the fold. First, though, EURO 2016 qualifiers and if you aren’t bothered seeing Germany get brackets (seven) against Scotland then Sky Sports 3 has Gibraltar making their tournament debut on Sunday night. The boys from The Rock have a ‘home’ fixture against Poland in a hugely significant game after finally becoming UEFA’s 54th member last May. I use ‘home’ loosely – the game will actually take place in Faro, Portugal – but it still promises to be an emotional experience for players, travelling supporters and those watching on TV. It is a shame, from one respect, they’ll be rattling around a half empty stadium when a trip from Gibraltar to London would likely have been just as cost effective (thanks to the wonder of charter flights) and would have seen any number of stadia up for the task – international football at Griffin Park, perhaps? But I digress – in a Group D that also sees World Champions Germany, the Republic of Ireland and the pool minnows, Scotland, it could be a fascinating qualification campaign. The smart money will be on Germany to walk it, of course, but I’m backing Gibraltar to pull off a shock this evening. And at 33-1 with some bookmakers for the win, worth a few quid…..? Getting back to domestic matters, this week Cameron Diaz declared that although she wasn’t aware of The Bees existence, now that she is she’ll look into us. As such, what better chance for the club to spring into action? To be quite honest, when it was announced last week that she’d be in London on a promotional tour, I’d have assumed the marketing and media chaps would have been all over it, anyway. A new home shirt with ‘DIAZ, 9’ winging it’s way to her? A tour of Griffin Park? Perhaps an interview with Chris Wickham for Beesplayer? But, it’s not too late. One thing I discovered whilst writing last season’s columns/book was an interesting fact about Swiss football. Whilst most people know that the home of domestic side ‘Young Boys’ is the ‘Stade de Suisse, Wankdorf’ what you may not be aware of is a unique feature – the, so called, ‘Hot Seat’. The stadium has a solitary red chair amongst the other 31,999 black and yellow ones. It was the first one installed in the new ground (opened in 2005) and you can’t buy a ticket for it. 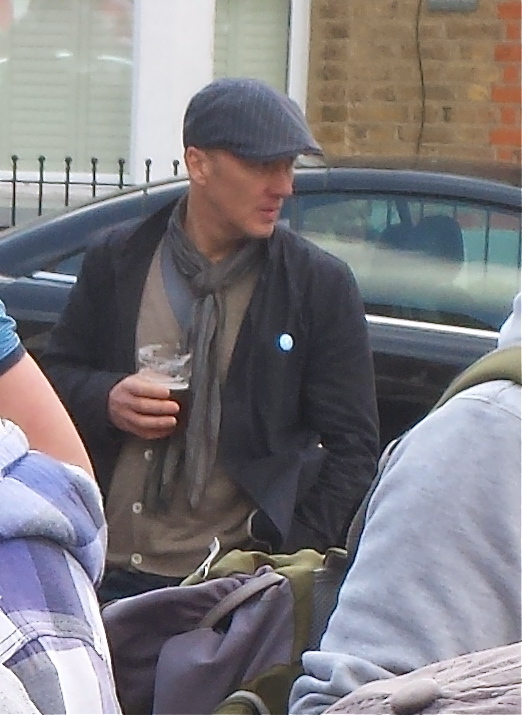 Instead, a notable personality – usually linked to the club – sits there. I love this idea and, as I’ve said before, think it would be fantastic if Brentford could try a similar scheme at Lionel Road. 19,999 red and white seats, and then one in a unique colour – or perhaps even yellow/black stripes? In our case, the occupant could range from a deserving supporter to a local dignitary or ‘celebrity’ fan. (If nothing else, there’s a free programme article out of it every week). And if we go down the latter route then what better guest to invite to use this ‘hot seat’ than Cameron Diaz? As Paul Davis told me on Twitter, “At least now we are on her radar”. Mr. Benham, if you are reading (you never know) then how about it? But even if Cameron does come good, she’s still down (down) the pecking order behind Rhino out of The Quo or Dean Gaffney. Should Diaz be replaced on the celebrity Bees montage? The question that Brentford fans have contemplated for years has finally been put directly to Cameron Diaz. And it has been answered. On Thursday morning, Absolute Radio DJ Christian O’Connell played out his interview with the Hollywood A-lister and finally obtained the truth about her rumoured love of Brentford. It’s a story that has been recounted for over a decade and quoted in sources as varied as The Daily Star, The Daily Mail and ESPN. We’d all seen the like of Rhino out of The Quo, Richard Archer and Natalie Sawyer at Griffin Park , but never Cameron. 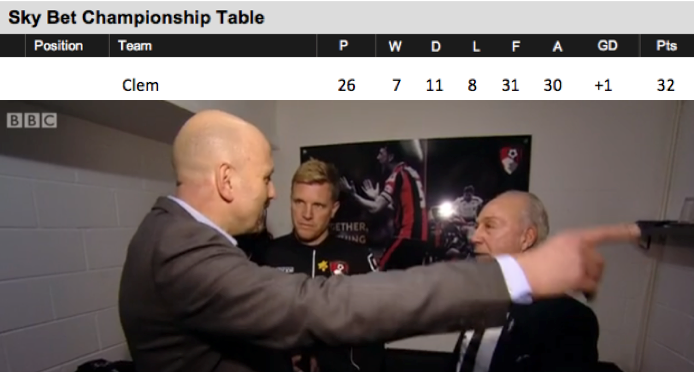 The scene was set last night in the build up article. To be honest, as I wrote this I feared the worst but you never know. Stranger things have happened. OC: There is a huge rumour that you are a football fan. Or Soccer as you guys call it now, which is getting bigger in America. And..a fan of Brentford. Is this true or not? CD: You know, I think I would love to know more about football. I don’t. OC: So you are not a fan of The Bees? CD: Let me just tell you something. It’s not that I’m not a fan of the Bees. I just really didn’t know they existed. Noooooo. This was the ultimate celebrity kick in the nuts. Or in footballing terms, like hearing we’d sold Dean Holdsworth and replaced him with Murray Jones. I hope she does. And not just because I think that she’d like what she found. More, I’d love us to be the team supported by Cameron Diaz AND Dean Gaffney. How often would you get chance to see those two together? Christian O’Connell to solve the biggest Brentford mystery. Throughout the history of mankind there have been many unsolved mysteries that have troubled philosophers and scholars alike. Is Elvis really dead? How was Stonehenge built? What is the secret of Bermuda Triangle? However, for Brentford fans there is one question amongst all that supercedes even the hit parade troubling prowess of Barry Manilow. Our legion of celebrity supporters is many. From the world of TV we have Sky sports presenter Natalie Sawyer and Dean Gaffney (Wellard from Eastenders). Music fans are amply catered for with Rick Wakeman, New Road regular Rhino Edwards from Status Quo and Richard Archer out of Hard-fi amongst those cheering on the Bees. Even comedian Bradley Walsh has a Brentford connection, as a former professional at the club. Beyond these, though, a single name transcends this entire list. Cameron Diaz. With Charlton Athletic due to visit Brentford on Saturday in our Championship opener I made a somewhat outlandish claim in yesterday’s column as to where I think we’d finish the season. I stand by that and I’d hope history repeats to help this happen – the last time The Bees entertained Charlton at this level saw a 2-0 win for us back on Nov 7th 1992. That said, I hope there aren’t too many more similarities between the forthcoming campaign and that one, given 1992/93 saw us return to League One (as is) after a solitary season. At times the season was exciting; at others, it offered nothing but the bitterest frustration. Regular correspondent Bernard Quackenbush asked for ‘my memories’ of this and, whilst somewhat hazy, it did get me thinking. So here are the top five highs and lows from the last time we tried try our luck in English football’s second tier. 5: Dean Holdsworth. 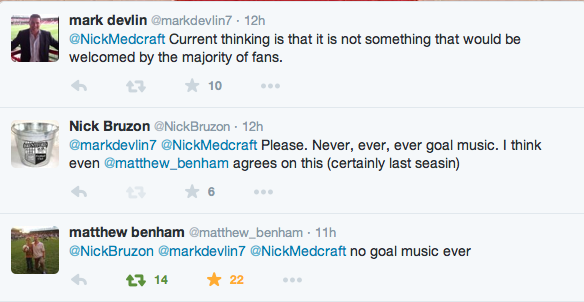 If Wigan Athletic fans are wondering why Brentford supporters are so upset about the Adam Forshaw talk, this is why.